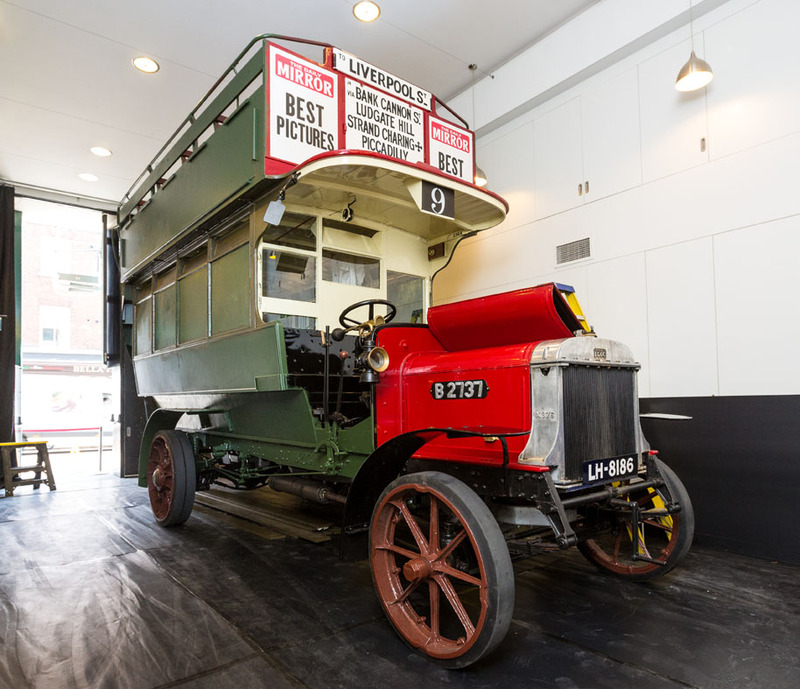 It’s been a busy summer for Battle Bus with appearances at commemorative events and several bus garage open days, and last week it was transformed from its traditional red and cream livery into wartime khaki. 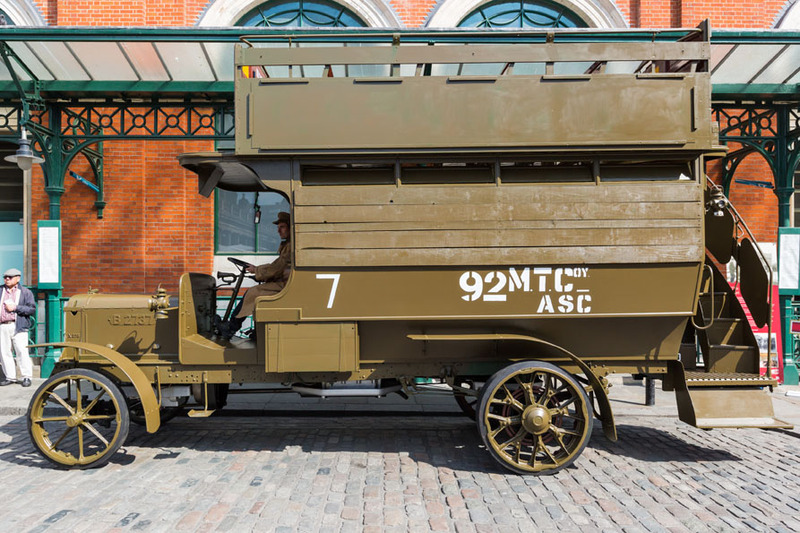 On 18 September it will set off for its latest adventure when we say goodbye to Battle Bus as it embarks on a ten day commemorative tour of the battlefields of Belgium and France. The Bus will depart from Folkestone, a Kent seaside resort made fashionable by the Victorians and which for four years was the main channel through which millions of troops passed on their way to the Front. 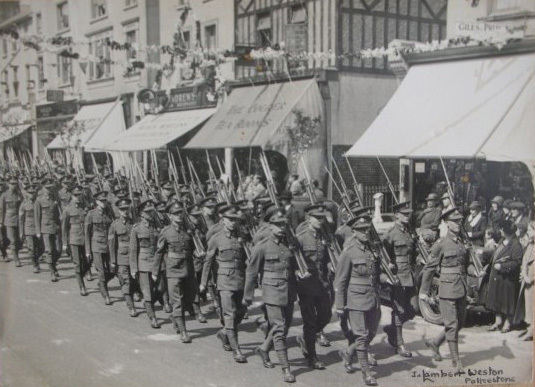 Early on in the First World War troops heading to France embarked from Southampton however the crossing was long and hazardous and in 1915 the embarkation point was changed to Folkestone, and for the rest of the war the quiet seaside resort became an army camp. 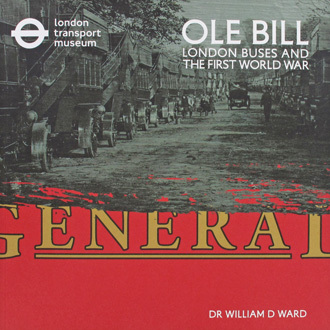 Although Battle Bus will depart from Folkestone tomorrow, during the Great War most of the buses requisitioned by the War Department departed from Avonmouth, the port for Bristol. The port had cranes large enough to lift vehicles onto ships and therefore became the departure point for most motor transport. Folkestone was the main embarkation point for millions of troops heading to France and Belgium, and for many the town was their last sight of England. Tomorrow is the grand depart for Battle Bus, it will set off from Folkestone to begin its tour of battlefields, including Arras and Zonnebeke, to commemorate the sacrifices made by so many during the First World War.